Crash Bandicoot N. Sane Trilogy (game, 2017). A platform video game by Activision. Developed by Iron Galaxy, Activision, Vicarious Visions, Toys for Bob. Official Trailer. Crash Bandicoot N. Sane Trilogy is a platform video game by Activision, developed by Vicarious Visions, Toys for Bob, Iron Galaxy and Activision. 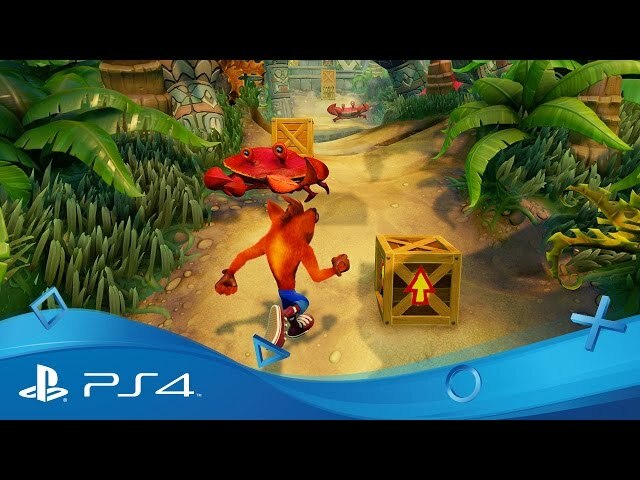 Crash Bandicoot N. Sane Trilogy - Launch Trailer - Nintendo Switch. Crash Bandicoot N. Sane Trilogy is a collection of remasters of the first three games in the Crash Bandicoot series; Crash Bandicoot, Cortex Strikes Back and Warped. Each game features Crash Bandicoot traversing various levels in order to stop Doctor Neo Cortex from taking over the world. Like in the original games, Crash uses spinning and jumping techniques to defeat enemies, smash crates, and collect items such as Wumpa Fruits, extra lives and protective Aku Aku masks. 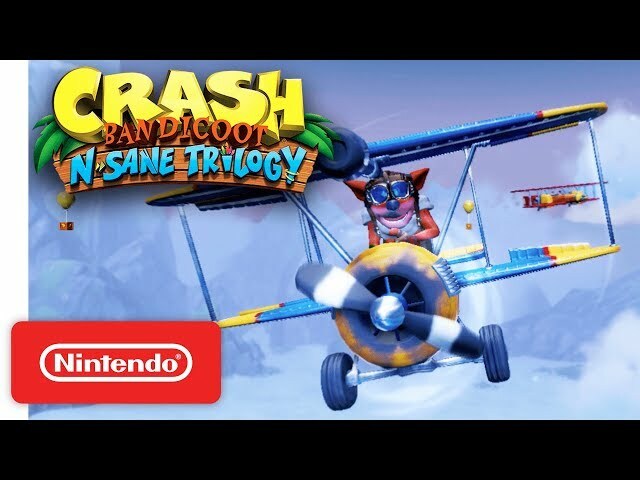 The trilogy adds new features across all three games, including unified checkpoints, pause menus and save systems, including both manual and automatic saving, time trials, which were first introduced in Warped, and the ability to play most levels in each game as Crash's sister, Coco. It also features remastered audio and cutscenes, including new recordings of the games' dialogue given by the franchise's more recent voice actors. 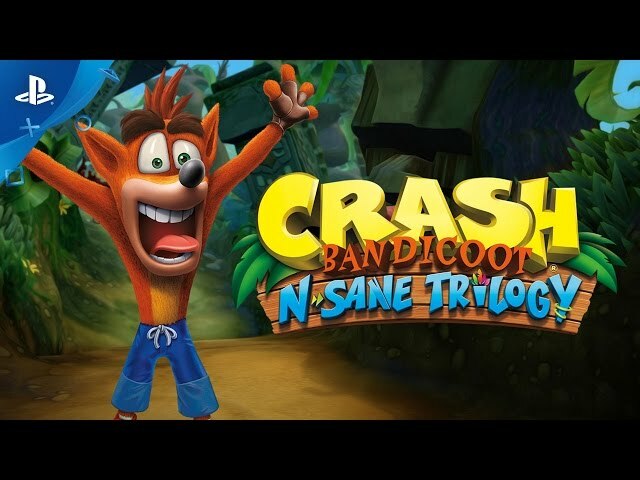 N. Sane Trilogy is a collection of remasters of the first three games in the Crash Bandicoot series, Crash Bandicoot, Cortex Strikes Back and Warped, which all feature Crash Bandicoot traversing various levels in order to stop Doctor Neo Cortex from taking over the world. 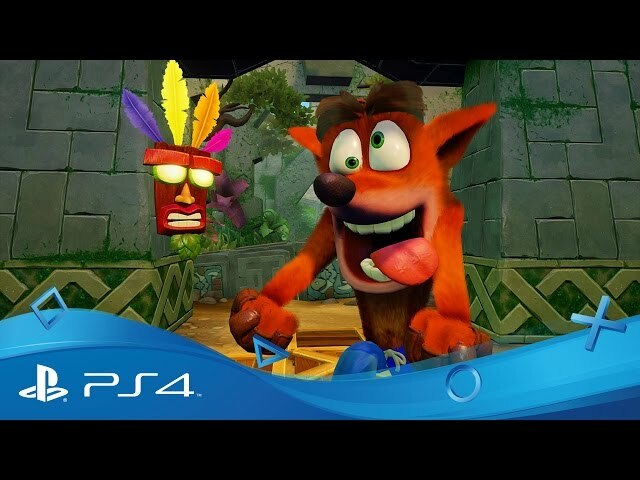 Like in the original games, Crash uses spinning and jumping techniques to defeat enemies, smash crates, and collect items such as Wumpa Fruits, extra lives, and protective Aku Aku masks. 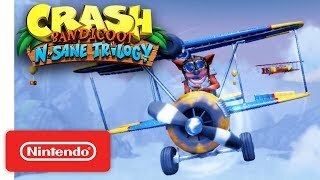 The trilogy adds new features across all three games, including unified checkpoints, pause menus and save systems, including both manual and automatic saving, time trials, which were first introduced in Warped, and the ability to play most levels in each game as Crash's sister Coco. It also features remastered audio and cutscenes, including new recordings of the games' dialogue given by the franchise's more recent voice actors. Crash Bandicoot N. Sane Trilogy was scheduled to be released by Activision on June 30, 2017 and on June 29, 2018. This video game is available for the following platforms: PlayStation 4, Microsoft Windows, Nintendo Switch and Xbox One.